March 9th marks the first day of SXSW 2018. Attending an epic event like SXSW can be overwhelming your first time. Local Austinites, on the other hand, know the ropes better than anyone. 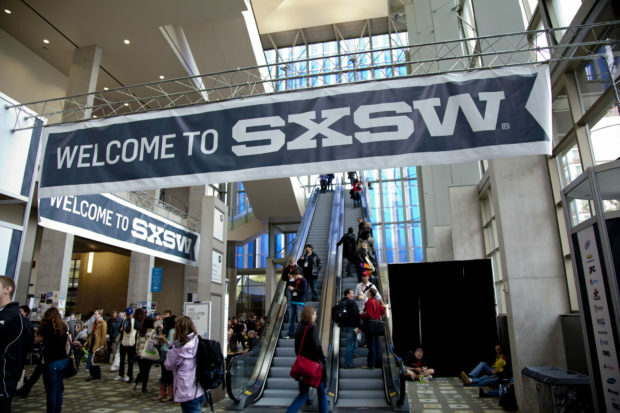 Keep reading for advice and insights on how to do SXSW like a local. There’s so much to see and do during SXSW, if you don’t plan in advance it’s easy to get distracted. Plus, you may need to reserve a spot in advance or plan to stand in line if you want to take part in popular events (like the Westworld saloon). This is definitely true at venues that leave room for non-badge holders. As soon as you purchase your SXSW badge check out the event schedule. Sign up for an account and you can select events to create your own schedule. Go ahead and add everything that interests you. From there you’ll have to start making decisions, because there are guaranteed to be events that overlap. Now you’re off to a solid start. A few years back, the orchestrators of SXSW decided to create their own app to help attendees make the most of their experience. The SXSW app a step beyond having an online account and is extremely useful when you’re on the go during the event. The app will sync your schedule with other devices, provides real time updates and has useful navigation tools. Forget about driving yourself around during SXSW. Parking is already difficult downtown when SXSW isn’t underway. When you add thousands upon thousands of visitors that are congregating around the convention center, parking is going to be non-existent. You’re much better off taking the trolley, a city bus, biking or hailing an Uber/Lyft. If not, you’ll spend a lot of time driving around instead of enjoying SXSW. Bonus local tip: Sign up for Car2Go. This car sharing program has been around for years and there are a number of dedicated parking spots downtown just for Car2Go drivers. Sure, the badge will get you into SXSW and many SXSW-related events. But wearing a badge around your neck 24/7 singles you out as a tourist. If you want to blend in with the locals,refrain from flashing your badge around if it isn’t really needed. Trust us, thousands of locals attend SXSW events but most either do so with a discreet wristband or only flash their badge at the door. Austin is a city of foodies that aren’t afraid to try new things. We may not have invented the food truck, but we sure did popularize the culinary concept. SouthBites Trailer Park was conceived six years ago as a way to introduce attendees to some of the best Austin restaurants on wheels. The park has grown so popular it’s now an attraction all on its own. You’ll need your badge or a free SXSW guest pass to taste what this year’s vendors are serving up. For more SXSW eating advice check out Austin Eater. In years past, they’ve put together outstanding food overviews for visitors. Two local radio stations, KUTX and KGSR, hold morning music shows at the Four Seasons and W Hotel. It’s a great way to start the day, especially if you prefer shows in an intimate setting. Plus, you can fuel up with free coffee and breakfast tacos. As massive as SXSW is, it’s still not enough to fit in all of the shows and events. This overflow is what’s dubbed the “unofficial” SXSW events. Unofficial SXSW events can include day parties, sponsored corporate gatherings, networking happy hours, live music and more. Often these events are every bit as good as many of the official happenings. Visit ShowlistAustin.com to get a feel for what you can unofficially see during the SXSW music portion. Are you moving to Austin this March? Square Cow Movers can help you manage the madness of moving during SXSW. Our professional movers know how to avoid the congestion and can get you packed up in time to enjoy the festivities. Give us a call to schedule an onsite estimate or use the online form to get an instant moving quote!